to Michigan’s Copper Country in USA in search of a better life and work in the mines: Polish, Swedish, Scottish…and Finns, many Finns. death of more than six dozen people in 1913 at the Italian Hall in Calumet, a small village in Michigan that was at the center of the mining industry of the Upper Peninsula. Door. 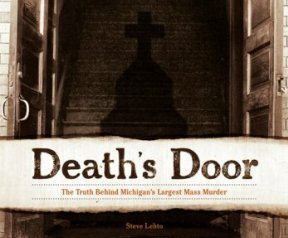 The truth Behind Michigan’s Largest Mass Murder, how there were many circumstances and inaccurate stories around the tragedy that, even almost one century ago, in need of getting an appropriated explanation. “My family is from the area where the story took place: Michigan’s "Copper Country." There is a large Finnish community there, even to this day, and this story is legend in that community. My family was not directly involved in the story but I had always heard about it growing up” says Steve to FREE! Magazine. And no wonder that many decades ago, the Italian Hall tragedy is still very present in the minds of the Finnish community of Michigan. If you take a look at the list of victims, Finnish names appear in the biggest proportion. Adding the special dramatic circumstance that the majority of victims were just little children who were crushed to death in the stairs of the Hall, were a Christmas Party was being celebrated for the families of the mine workers on strike and presents and candies were handed to the smaller ones. as solving a historical debt with his community: “The ones I did speak to — about more recent events in the story — were very receptive to the idea. It seems that everyone thought it was long overdue". documentation and historical research is clearly poured in the pages of the book. The author reckons: "I cannot begin to estimate the time spent — it would be countless hours. I know it was about a year or a year and a half from when I first thought of the book until the book was finished. The research is the hard part; the writing is the easy part". 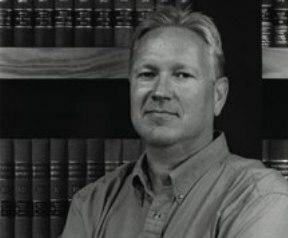 Being an attorney, Lehto cannot avoid finding a special fascination about the legal aspects that surrounded not only the Italian Hall massacre, but all the happenings around the miners` strikes beforehand. A story that has its own heroes and villains personified by characters like the prosecuting attorney Lucas or the president of the company Calumet & Hecla James MacNaughton. “This book is more of a straight forward history book”. of the Italian Hall story, the book can maybe result not as enlightening as they would hope. at the past and see old stories of emigrations and memories of your grandparents and how they believed in a better life and the power of workers, but where (as it remains until nowadays) there was also a dark side in the American dream with a lot of space for conspiracies and corruption.